My kids’ Vintage Disneyland Room has been pretty close to finished for a while now, but I’ve got a few last touches I want to wrap up before I share the completed room with you all. 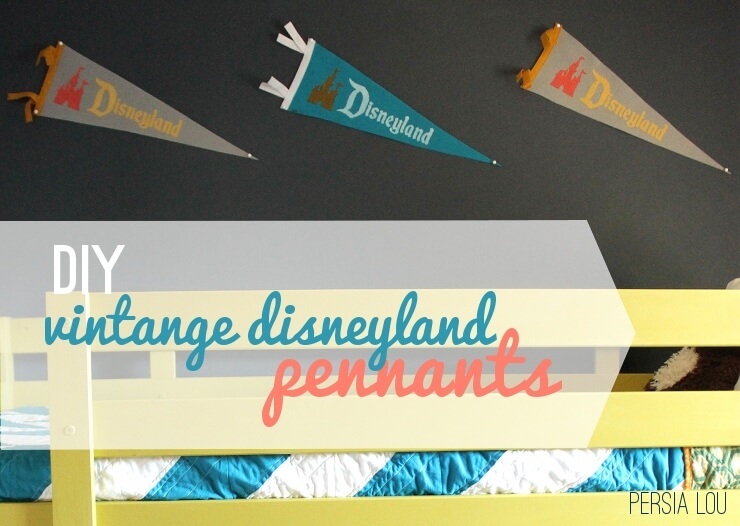 Until then, here’s a little project that brought a bit more vintage Disney to the room. 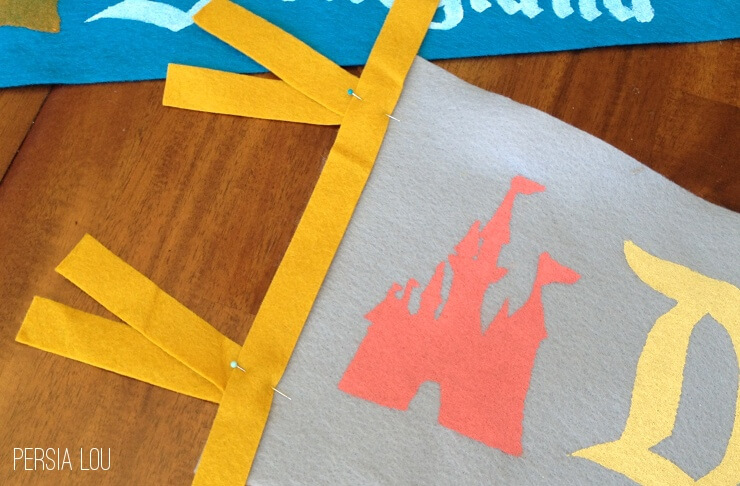 For a while I considered purchasing some vintage Disneyland felt pennants from etsy or ebay, but I finally decided to make my own reproduction versions. An original pennant would be awesome to have, but the benefit of making my own is that I could use colors that fit into my color scheme. 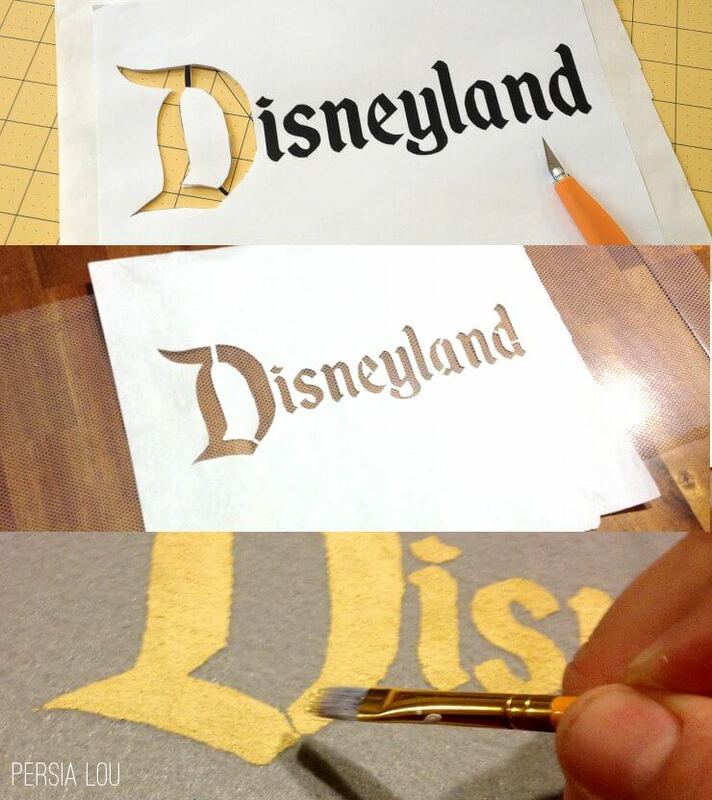 I started off by printing off the word “Disneyland” using the Started by a Mouse font. I also found an image of the castle to make my stencil. I cut my stencils out of freezer paper using an Xacto knife. Then, I ironed the freezer paper onto a piece of fabric netting, which allowed me to use the same stencil more than once. I used acrylic paint mixed with fabric medium to stencil the design onto felt triangles. After stenciling, I filled in gaps with a paint brush. That’s all there is to it! I really like the way they turned out. 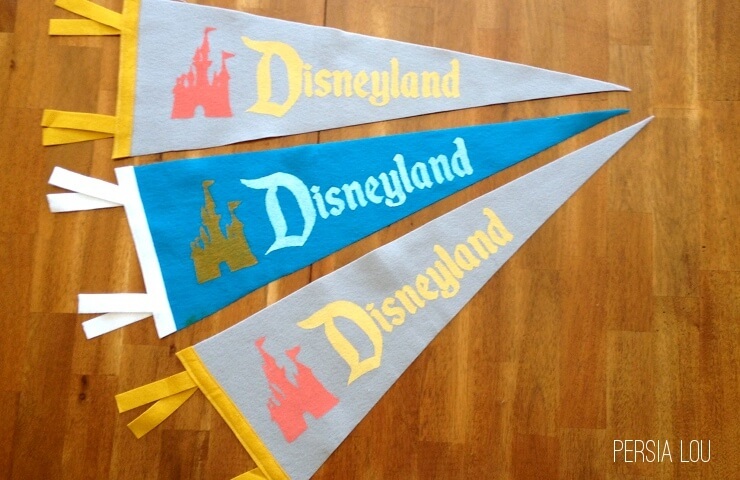 Of course, I’m partial to the Disneyland pennant, but you could use the same technique to make pennants with all kinds of different logos or names. I think they add a fun little touch to the room. 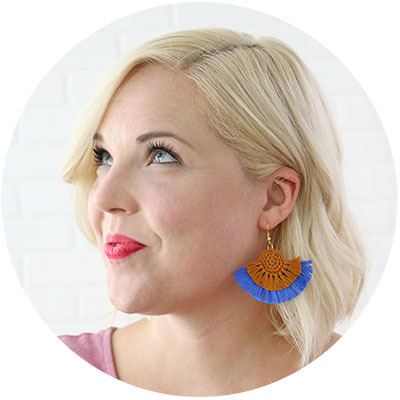 If you missed any of the previous projects from this room be sure to check out the herringbone quilts, our dresser makeover, and my small world globe project. 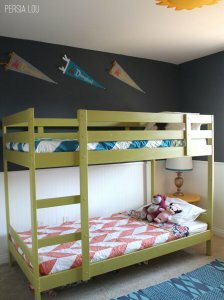 I hope to share the completed room soon! Love these! 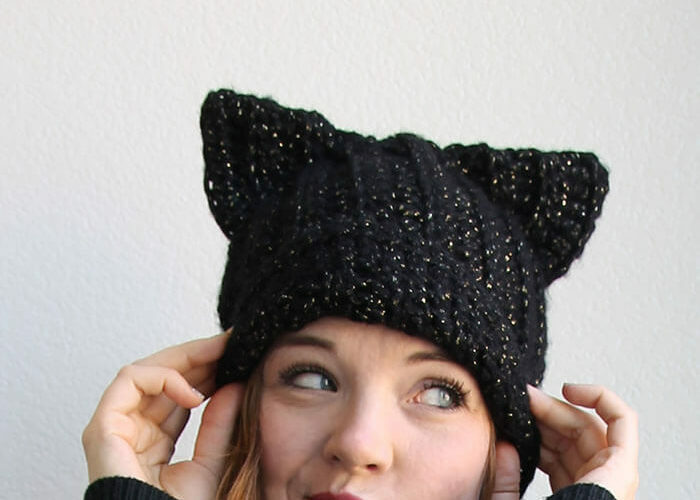 I think we just found our Christmas gifts to make for friends this year!!!!! Thank you!!! Super Cute!! 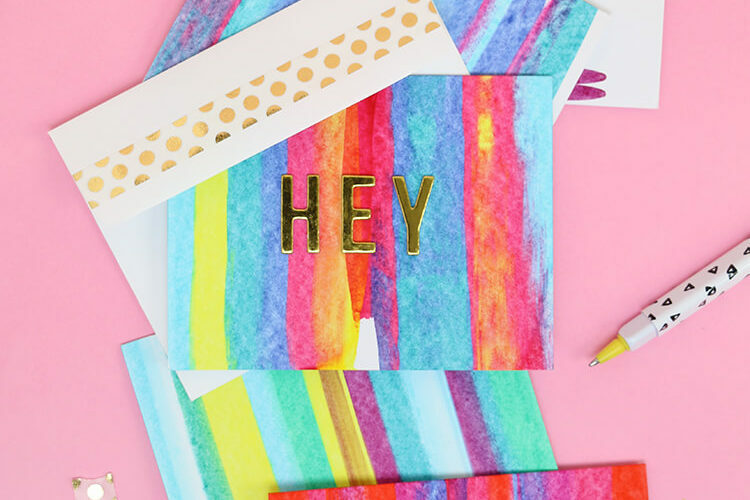 I&#39;ll be featuring these over on Tell Me Tuesday! Thanks for linking up Alexis!